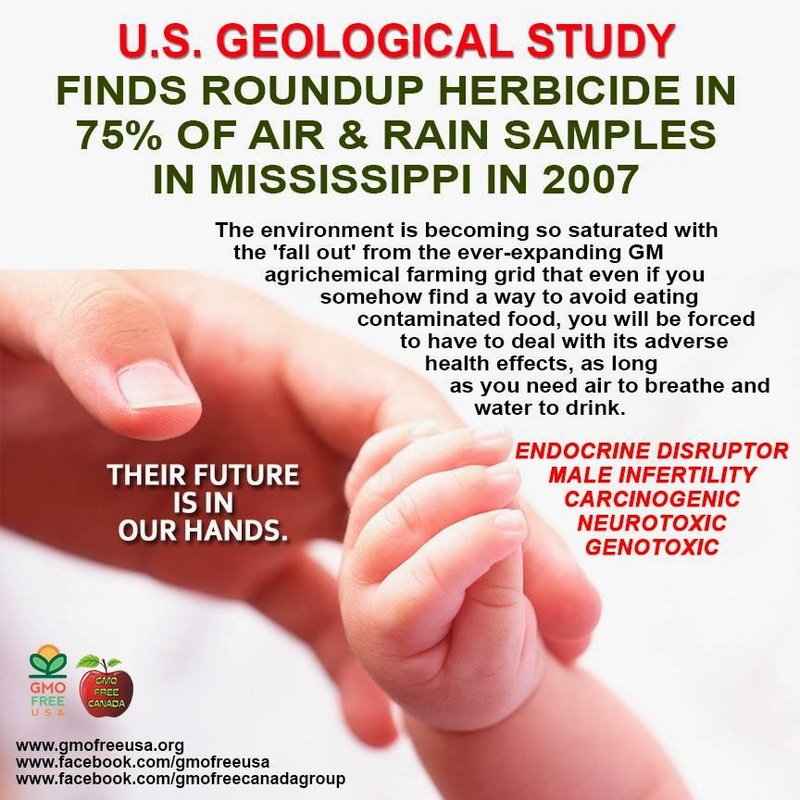 A newly published U.S. Geological study found that 75% of the Mississippi air and rain samples tested from the year 2007 contained the herbicide Roundup. 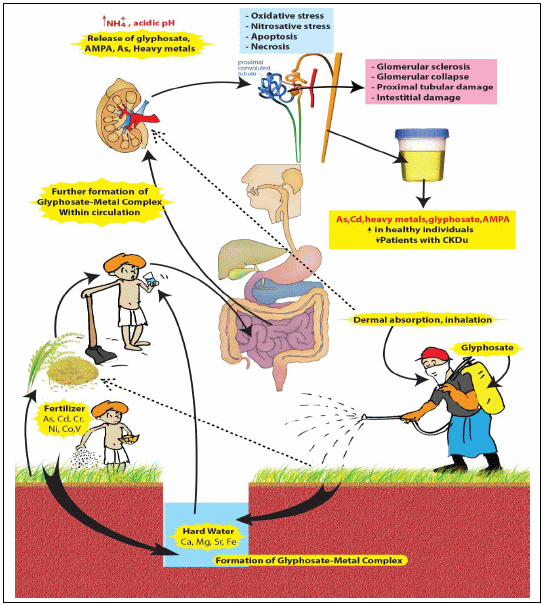 The environment is becoming so saturated with the 'fall out' from the ever-expanding G...M agrichemical farming grid, that even if you somehow find a way to avoid eating contaminated food, you will be forced to have to deal with its adverse health effects, as long as you need air to breathe and water to drink. This study brings to the surface the extent to which GM farming has altered our daily exposure to chemicals, such that even the rain and air we now breathe contains physiologically relevant levels of glyphosate 'fall out' from the war against any plant not part of the monocultured, genetically engineered system of production. And meanwhile, a recently published independent peer reviewed study found Roundup to be the most toxic of 9 pesticides (yes, it is also a pesticide) tested. This leads us to ask: What would they find if they tested samples of air and water in 2014? And what will be the long term effects on our children?